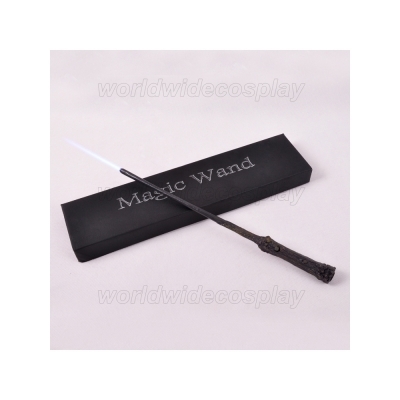 Harry Potter's magic wand is made of pecan hickory and phoenix's feather. It is very powerful. The tip of the wand is a tiny LED bulb. 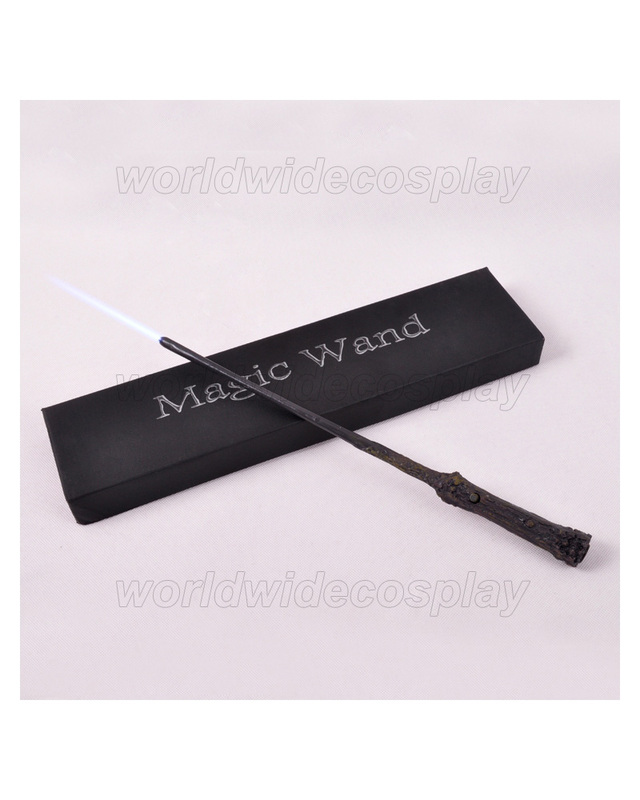 The switch is at the side of the wand. 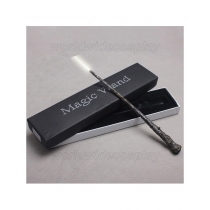 Please note: The wand is glowing. 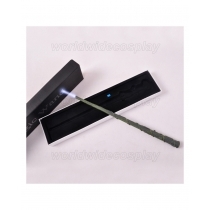 Link for Harry Potter magic wand not glowing.